In celebration of the 2015 General Election, we thought we'd present you with some incredible locations from history that have played a significant part in granting us the democracy we enjoy today. From the democratic seeds that were sown during the signing of the Magna Carta to the Cabinet War Rooms that played a significant part in defending our democracy from something far worse, here are five amazing historical locations that played host to events that helped give us a say. The famous Magna Carta document is seen by many to be the birth of modern democracy. Signed 800 years ago on 15th June 1215, it ensured access to swift and fair justice, according to the laws of the land - not simply the crown. It also protected church rights and put limitations on feudal payments to the king. Problem was, this only really applied to the barons, lords and other nobility - and they were already pretty privileged - the 'serfs', or regular folk, weren't given a mention. However, despite all this, it was the beginning of the movement of power from the few (or one in this case) to the many. 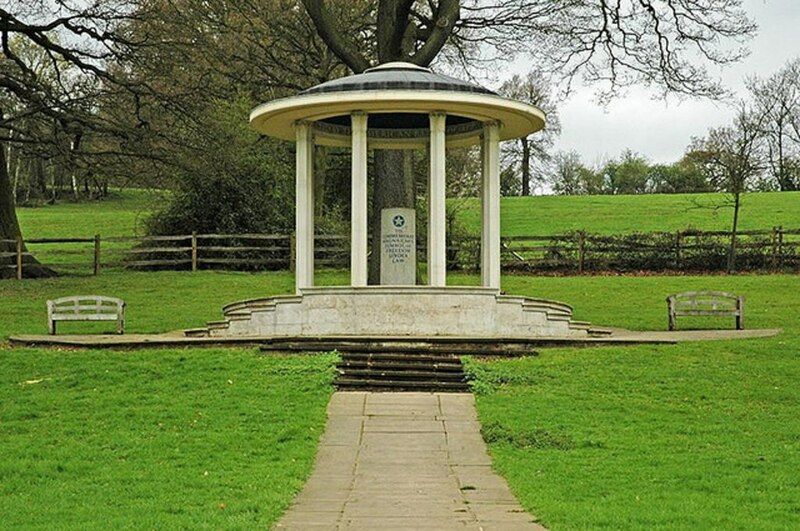 A memorial to the Magna Carta can be found at Runnymede in Surrey at the place it was signed, now situated in a beautiful National Trust park by the Thames. It's great for a stroll, bike ride or picnic, while also taking a moment to observe this momentous historical site. Although less popular than the Magna Carta, the Peasants' Revolt was a far more radical occurrence in British history. At this time, most men were not considered free, but rather serfs; tied to the land of the lords that ruled over them, essentially as their property. When serfs, who had managed to supplement their incomes through additional labour and saving, managed to purchase land, they found it was taken off them by the lords they were forced to serve. If this wasn't bad enough, the King was also raising taxes. Things came to a head on 30th May 1381, when John Brampton, a tax collector in Essex, was not so softly prevented from doing his job. Civil disobedience spread across Essex, Kent, Norfolk and elsewhere, leading to uprisings by a popular alliance of serfs, artisans and even village officials, demanding change. They burnt court records, freed prisoners and sought to overturn the powers that were, seeking a reduction in tax and an end to unfree labour and serfdom. Things were going well. The uprising arrived in London on 13th June in Mile End, and after a brief meeting with an uncooperative Richard II at Blackheath, sent him packing to the Tower of London, while the peasants continued to burn law books around the capital. On the 14th June, Richard met the protesters again at Mile End, in what is now East London. This time, he acquiesced to most of their demands, including an abolition of serfdom. Unfortunately, it was short lived. The King never really meant to keep his word. The next day, Richard went back on his promises after stalling the protesters for long enough to raise an army of militia under the Lord Mayor of London. At Smithfield, the opposition leader, Tyler Wat, was killed by the royal entourage and his head placed on a spike. With their leader dead and the militia on their backs, the uprising soon crumbled and the people were the property of their masters once more. Although this was something of a failure, it did show a demand for freedom and independence from the regular folk. It was the beginning of a movement that would see people gain control of their own lives, free from the control of the nobility, that one day they might have the opportunity to make something of themselves. Still, it would be another 200 years, under the reign of Queen Elizabeth I, before the last serfs were made free. 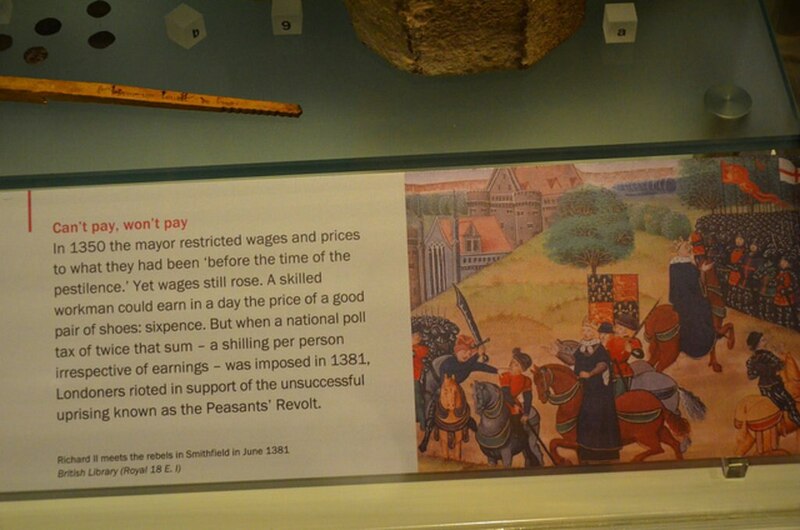 You can learn all about the Peasants' Revolt at The Museum of London. The decisive battle of The English Civil War, it was the Battle of Naseby that signified the end of the reign of King Charles I. Believing in the divine right of kings, King Charles held that he had absolute authority on earth. He was convinced that he derived the right to rule, absolutely, over his subject directly from God and no one could challenge his word. This all came to the crunch when parliament, seeing his egotism as genuinely dangerous, sought to limit his royal prerogative (or overreaching authority and immunity to common law). In short; the King needed money, but he needed Parliament's nod to raise taxes. Parliament refused, so after a few tense meetings, Charles not only dissolved Parliament, but attempted to have members of the House of Commons arrested. This did not go well. Soon both sides were raising armies, pitching brother against brother, father against son. It was a bloody time in British history. Events reached a peak at the Battle of Naseby when Sir Thomas Fairfax, along with Oliver Cromwell, who would go on to become the Parliamentarian leader, defeated the King's army. Part of the battle loot was the King's personal baggage train, which contained letters the ruler probably would rather had not become public, showing he had turned to unpopular parties for support. This was his end. The King's allies in England crumbled away and the last remaining resistance was soon mopped up. The King was captured and after a trial, finally being subjected to common law, executed for treason against the people. Finally, it was proved no ruler was above the law of the land. No one individual could command ultimate power. It was the beginning of real power for parliament. The crown would never again command total rule. There is a small stone memorial that commemorates the Battle of Naseby, situated in the picturesque county of Northamptonshire, and you can also catch re-enactments of the event if you're lucky. 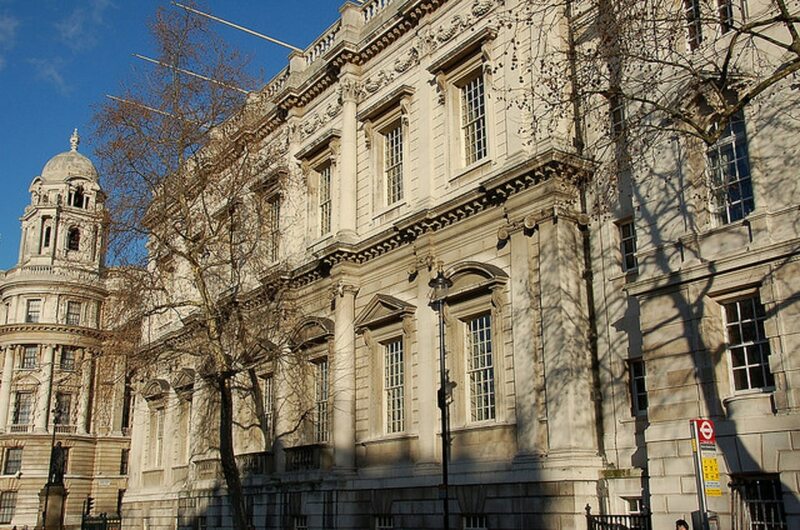 You can also see the place that King Charles was executed outside of Banqueting House in Whitehall, Central London; the only remaining component of the Palace of Whitehall. OK, so the English Civil War didn't completely solve all our democratic problems. The House of Commons did a bit of a lacklustre job of running things, so Oliver Cromwell pretty much took over, dissolving Parliament in the process (remind you of anyone? ), ruling as Lord Protector - which was just another way of saying "king". When he died in 1658, there was a power vacuum. People saw Cromwell's son, Richard, as both weak and illegitimate, so he vanished after less than a year. There was only one choice for many - restore the monarch. Parliament called in King Charles' son, the imaginatively named Charles, to take over - Sir Thomas Fairfax (remember him from above) even provided the horse. Yeah, things went backwards a little. Those that signed the King's death warrant were murdered, and although the new King didn't hold quite as much power as his father before him, he still held too much. Monarchy had returned and ultimately power, if not ultimate power, lay with one man once again. When he died, his son was set to take power. King James II had strong ties to France, and many feared he intended to impose a French Bourbon style totalitarian reign on Britain. Parliament wouldn't have this, so they invited the niece of Charles II, Mary, and her Dutch husband, William, to take the throne instead. It all sounds rather nice for a revolution, all this inviting, and it pretty much was. William and Mary arrived in Torbay with a somewhat multi-national force of Dutch, Scots, English, German, Swiss, and Swedish; and the English lords, that had asked him to come, quickly rallied to his side. James quickly realised he was beat and fled to France without so much as a shot being fired. Mary and William took the throne, powers severely limited, and Parliament, as chosen by the electorate regained the lead. 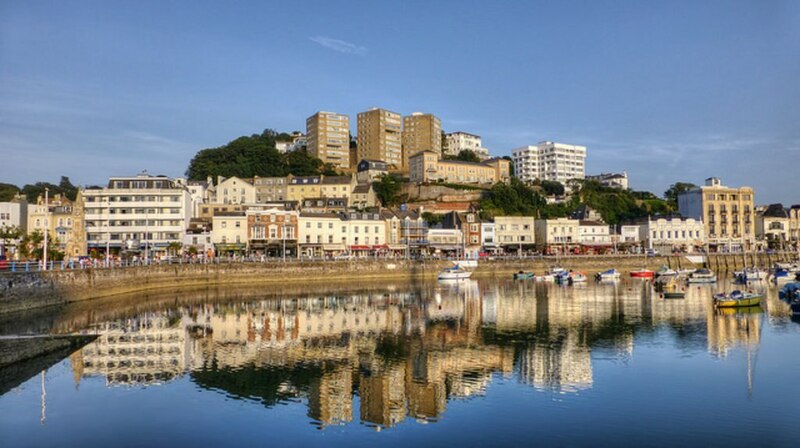 Torbay in Devon, which includes the popular town of Torquay, is a fitting location for such a story. Known as the English Riviera, it's considered the sunniest area in the whole of the UK, with beautiful beaches and a great surfing community. Well worth a trip if you're looking for fun in the sun without the plane ride. So, you got me, this isn't really a location that brought Britain democracy. Universal suffrage already existed, people were free in the sense they were no longer serfs, and there was relative social freedoms for all, with more being won all the time. What the Cabinet War Rooms represents is a desperate defence of that. There's no denying the threat to democracy and freedom that defeat during this conflict would have posed. During the darkest days of World War II, these rooms allowed Winston Churchill and his cabinet of ministers to continue the administration of the country while the bombs rained down above. While there are plenty of locations around the country that signify Britain's perseverance over those nearly six years of conflict, there's no better symbol of the beating heart of our electoral system in this struggle than the Cabinet War Rooms. Sure, it may not be perfect, but imagine the alternative. Checkout the Cabinet War Rooms on King Charles Street, London, close to Westminster Station and St. James's Park. Enjoy the history and remember to vote! Thanks to Ben Sutherland, TrevorLowe, steveliddle, James Stringer, Matthew Hartley, SBA73 and Greg Knapp for the excellent pictures from Flickr. Please note all were under Creative Commons Licence at time of publishing.